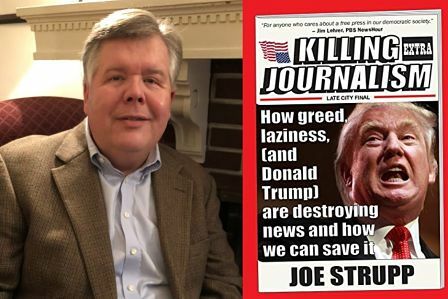 Joe Strupp’s book details what is really wrong with today’s news media: not the claims of liberal, slanted coverage or “fake news” but the true cutbacks in resources, revenue and in-depth reporting, along with over coverage of non-stories and under coverage of true needs and important issues. It also looks at the loss of true ombudsmen who for years would hold local news accountable, while journalists face more obstacles — from a lack of legal defense to increased government crackdowns — than ever before. Not to mention outright danger on the job.